However, there are times when the easy to use thumb studs provide a particular annoyance — when the thumb stud is in the cutting path of the blade. Some designs are more egregious than others but if you’re trying to cut something thick cleanly, you shouldn’t have to worry about the thumb stud getting in the way. Here is a particularly egregious example from a gas station knife. Holes in the blade have a place. 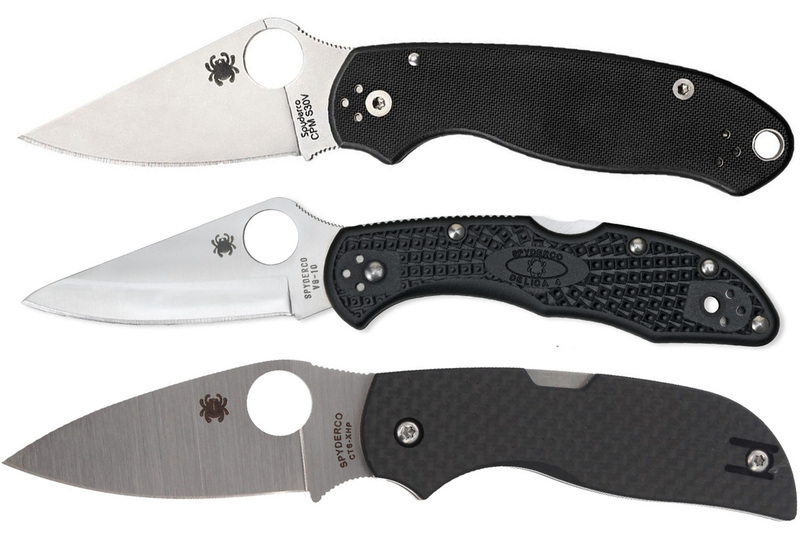 For example, Spyderco has made a living off of having a hole right in the middle of every knife. For the most part, these have a good purpose in aiding the opening of the knife (unless it’s those Spyderco fixed blades that have one for no reason). But, when the blade of a knife is filled with unnecessary “speed holes” as I like to call them, it drives me crazy. Cleaning inside these little holes that do nothing but decorate a blade and maybe shave off a few fractions of an ounce is no fun. Jimping serves an important function in allowing a user to hold a knife without slippage. Jimping on a flipper tab itself is fine because it makes finding and flipping the knife open easy. Jimping behind a flipper where there should be smooth surface is blasphemy. There shouldn’t be anything that impedes the engagement of a flipper. If you do even a fraction of the cuts that Pete from Cedric & Ada make with a knife, you want it to be able to cut anything on a flat surface. I find this almost necessary for an EDC that you’re using for everything — from opening boxes to prepping food. Some knives have a large flipper tab or a reverse recurve (is that a term?) that prevent the bottom of the knife from hitting the ground. A knife like the SpydieChef shows how a nice slicey design should be. Can you guess who makes this knife? If you make something, you should put your name on it. It’s only fair. However, having a knife with too much verbiage emblazoned on the blade, handle, and pocket clip is tacky. Custom designers don’t do this, but brands often take it to the extreme. SOG is known for doing this, but they’ve tampered it down a tad the past few years. 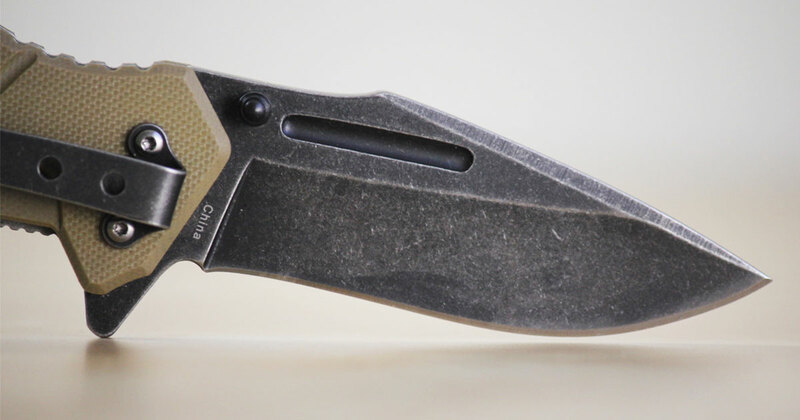 Speaking of pocket clips — there are some designs that look like the maker created an awesome knife but remembered that they needed a pocket clip and stuck one on after the knife was complete. For example. Look at this handsome knife. Then look at the clip. I’ve written about poor clip designs in the past, but a clip can really make or break a knife — whether it doesn’t vibe with the design or makes holding it too uncomfortable. Have you ever thought about buying a knife but didn’t because it didn’t have a lanyard hole? Probably not. 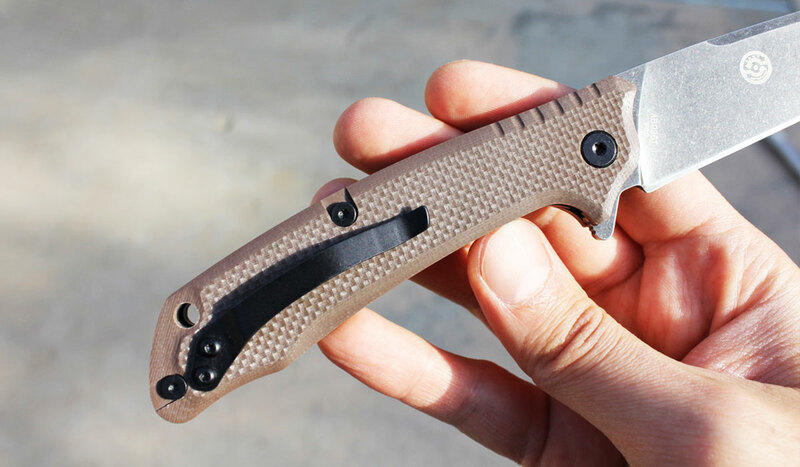 It seems like knife designers think they have to put in a lanyard hole. If a lanyard hole is present, I don’t mind as long as it doesn’t interfere with other aspects of the design. Unfortunately, that’s not always the case. Take the Para 3 for example. People ripped the addition of the lanyard hole because it moved down the pocket clip and seems pretty unnecessary. 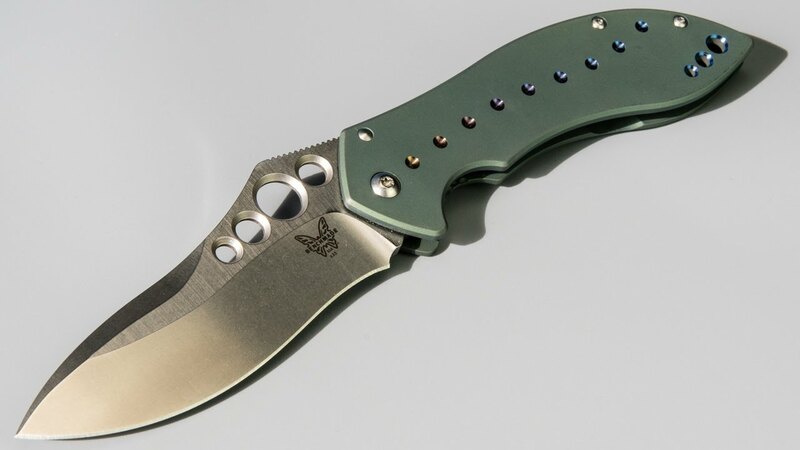 I even think it’s unnecessary on the Paramilitary 2. An unobtrusive design can be found in the Spyderco Delica. For a non-lanyard holed Spyderco, check out the widely hailed Chaparral. 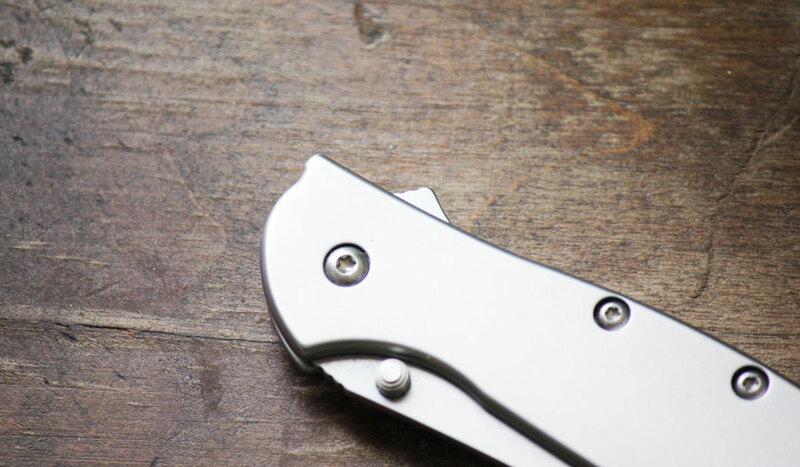 Pocket clips are hard to design — as I talked about in an earlier section — but a single position pocket clip is an annoying feature in many knives. You typically find this in budget knives. The reality is that a single-position clip is only annoying to some people. For example, if a knife has a tip-up only clip, person A may love it and person B may hate it. 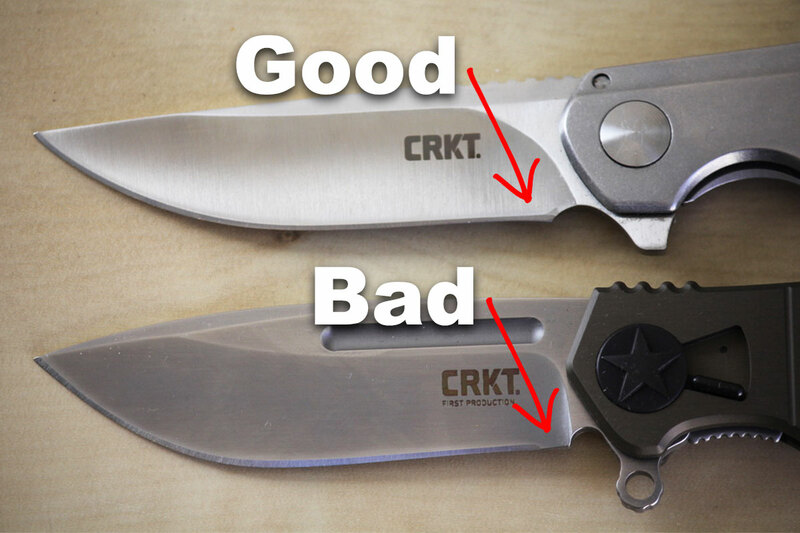 If a knife has a tip-down only clip, person B may love it and person A may hate it. That’s why clips you can reposition are a great design feature. Of course, unless it’s a four-position clip, there will always be that person who prefers the clip orientation another way. Unfortunately, a designer can’t please everyone at all times. Flippers can be great, but they can also be annoying. Some flipper tabs are small and unobtrusive. Others are way too big. This pretty much dovetails into the cutting on a flat surface complaint because large flippers are the usual culprit. However, a large flipper can carry terribly in the pocket, look goofy when open, and even open accidentally. 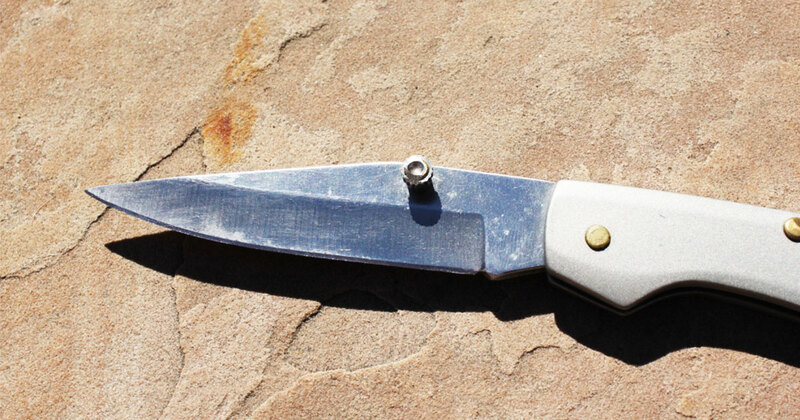 For a well-executed flipper, take a look at the Leek. The flipper is great. It’s small and not pointy and I’ve never had it launch prematurely in my pocket — even though it has the SpeedSafe mechanism. It also pretty much disappears when open. While some flippers work well as a guard, a good flipper can also fade into the background. What other design annoyances did we miss? Talk about having too much time on your hands and getting ultra nit picky, if you don’t like those features you are so critical of, Don’t Buy A Knife That Has Them. But if you happen to know where I can lay my hands on that skeletonized blue Spyderco, I’ll forgive you! This is all in good fun! Like I said, most of these aren’t really dealbreakers. 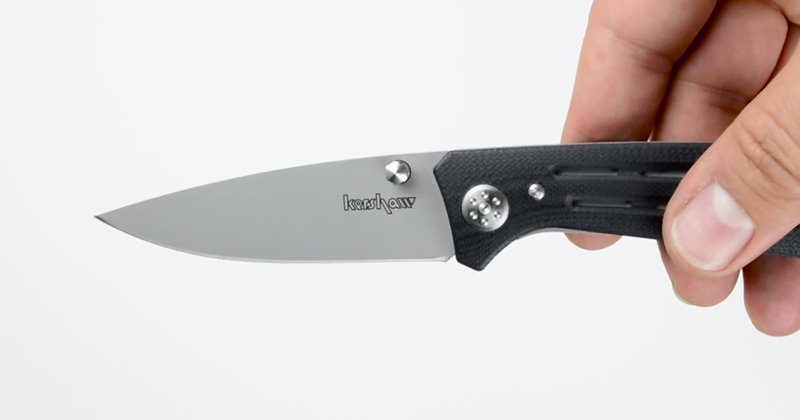 And about the Spyderco Q… you’re out of luck. That specific version only had 75 made and was commissioned by the Rocky Mountain Blade Collectors club. Real dealbreakers for me are pocket clips exclusively for right-handers. Knives should not need safeties. My Leek safety is always moving. I disengage it, and merely by turning the knife around in my hand to open it, it goes to half-safe. Why can’t the spring hold the blade closed without a safety? Artsy-fartsy knife pictures on instagram are annoying. 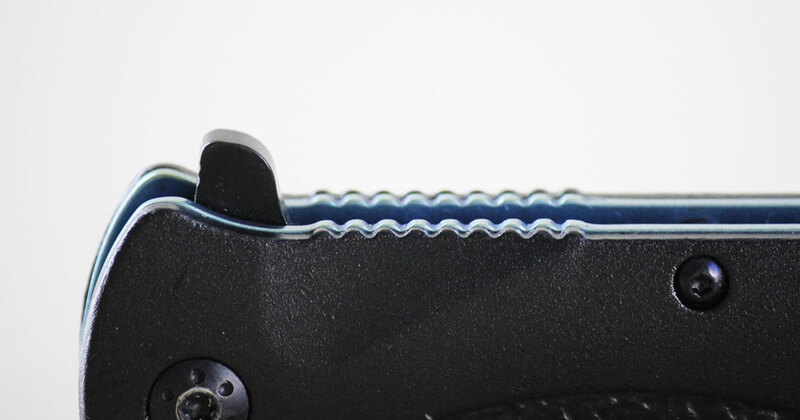 – Look at your folding blade from the bottom; the part that connects to the handle has to be thick for strength and for connecting with the pivot. Clearly, the cutting edge has to be thin for cutting. – It follows that there has to be a reduction in thickness. You could reduce it linearly, but then you’d be making a spearhead where the bottom edge is still crazy thick in the back. – Therefore, you don’t do it gradually, you make a plunge grind where it ‘jumps’ to thin very quickly. Good. – But not good enough, because there will still be a small area at the base where it goes from thick to thin. You could say that’s no big deal…. – But, if you want to sharpen the blade on a flat stone, that bit of extra thickness messes it up for the whole back area of the blade, because you can’t lay it onto the stone flat. – That looks messy and unrefined. – One solution of that is to simply grind a notch into the offending are at the back of the blade, just so that everything at and around the secondary bevel can be the same thickness; no muss no fuss. – And that’s what the sharpening choil does.